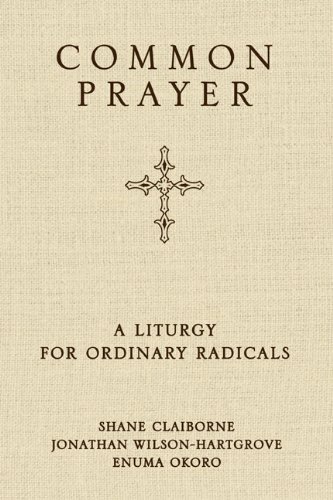 COMMON PRAYER: A Liturgy for Ordinary Radicals. By Shane Claiborne, Jonathan Wilson-Hartgrove and Enuma Okoro. Grand Rapids: Zondervan, 2010. 590 pages. Prayer is something that many of us do corporately and in private, perhaps in our closets, perhaps, as Jesus instructed. It is a form of communication, a conversation that we have with God. Of course, you could say that it’s usually a one-way conversation. Rarely does someone hear audibly the voice of God, but there are ways in which we can hear a word, even if we must be careful in the way we understand that word. Although prayer can be private, it can also be, and likely should be, a public conversation as well. And that’s where common prayer comes in. Being that I grew up Episcopalian, I’m quite familiar with the Book of Common Prayer, a form of liturgy that traces its heritage back to the work of Thomas Cranmer, whose first effort at crafting a book of worship the newly established Protestant Church of England came in 1549, with a second more Protestant edition emerging in 1552. These books of common prayer have proven influential down through the ages, at least in the English speaking world. This heritage of common prayer is seen in this particular book of liturgy that Shane Claiborne, Jonathan Wilson-Hartgrove, and Enuma Okoro have created with participants in the New Monastic Movement in mind. I’ve been dipping into this book for nearly a year. I wish I could say that I’ve been consistent in my usage, but that would be untrue. But whenever I have turned to it, I have found it helpful. But, my problem is that I’ve tried to use it by myself, and that’s not how it was intended to be used (though it can be used in this way!). It is, however, time to share my thoughts about this important resource for the people of God. The authors note in their introduction that the book isn’t designed to be read alone. It is meant to be used in community, whether that community is one’s family or a small group of friends, those living in a public housing unit or in a dorm. They write: “Whatever form your community takes, this is a book about ‘we,’ not ‘me’” (p. 9). This isn’t a “denominational” book either. The authors affirm the unity of the church, and state that the book is designed for Catholic and Protestant and Orthodox alike. We want the fire of the Pentecostals, the imagination of the Mennonites, the Lutheran’s love of Scripture, the Benedictines’ discipline, the wonder of the Orthodox and the Catholics. We’ve mined the fields of church history for treasures and celebrated them wherever we’ve found them. We’ve drawn on some of the oldest and richest traditions of Christian prayer. And we’ve tried to make them dance (p.10). After a lengthy introduction that outlines the rationale and parameters of the book, the book moves on to provide an order of evening prayer for each of the seven days of the week. This liturgy essentially follows an order that begins with a responsive call to prayer, followed by a prayer of confession, a time of silence, a song, prayer, further songs and a declaration of faith that is followed by prayers for others and the recital of the Lord’s Prayer, another song, and a responsive prayer to close the evening prayers. This series of prayers can be used throughout the year. The bulk of the book is composed of the daily morning prayers. These begin in December and end in November. Thus, one can follow the liturgical calendar with a reasonable degree of accuracy. As with the evening prayers it’s assumed that these prayers are done corporately, with someone in the lead. Each month’s prayers are introduced by a reflection that in many cases serves to introduce to the reader the principles of the New Monastic Movement. As with the evening prayers there is a basic order to these daily prayers. On some of the days there will be a brief reflection that speaks to the life of a person from church history whose life exemplifies the Christian faith. The prayers begin with a responsive call to worship that remains the same throughout the year. This is followed by a song from the songbook that is found at the end of the book. The song is followed by a responsive reading from a Psalm. This is followed by readings from the Old and New Testaments, prayers for others, a reciting of the Lord’s Prayer (Our Father), a closing prayer and a benediction intended to be shared in unison. Like the opening call to prayer, this remains the same throughout the year. The authors have also included a section of prayers for special occasions, which they note come from sources across the globe. These are both new and ancient and can be adapted to one’s needs. There are house blessings, prayers for the workplace, major life transitions prayers for meals, remembering those who have died and prayers for healing, as well as a prayer for celebrating the Eucharist, among other prayers. The song book that brings the book to a close includes a wide variety of songs, from well known hymns to more recent pieces. These are designed to be used in the daily worship. The author/compilers are to be commended for creating such a useful resource. Designed to enhance community prayer for those who participate in the New Monastic Movement, the book will be a blessing to many across the faith spectrum. 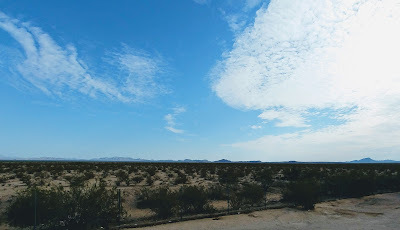 Because the leaders of the New Monastic Movement have a strong commitment to social justice, one will find numerous prayers and reflections that lift up this important concern of so many of us, especially those who inhabit the mainline community.